Heinemann author Maggie Beattie Roberts is our guest today on The Heinemann Podcast. I’m sure you think about your favorite teacher from time to time, but what can our memories do to inform our teaching? Heinemann Author Maggie Beattie Roberts thinks we can use these influences to help form teaching archetypes to better our practice. Maggie Beattie Roberts began her teaching career in the heart of Chicago and then pursued graduate studies as a Literacy Specialist at Teachers College at Columbia University. She worked as a staff developer for the Teachers College Reading and Writing Project for nearly ten years, where she led research and development in digital and media literacy, as well as differentiated methods of teaching. Maggie is currently a national literacy consultant, author and frequent presenter at national conferences. She is the co-author of DIY Literacy, and co-authored several Heinemann Unit of Study books on the teaching of writing. When we started our conversation, I wanted to know, who was Maggie’s favorite teacher? You can learn more from Maggie on this topic if you’re attending NCTE this week in St. Louis. Along with Kate Roberts, Maggie will be presenting: Clear Eyes, Full Heart, Can’t Lose: Helping Students Craft a Clear & Heartfelt Vision for Their Learning. You can join them on Sunday November 19th, – from 8:00 a.m. – 9:15 a.m., Room 127. If you can’t make it to NCTE, you can also watch a video from Maggie on this same topic, right now at over at The Ed Collab website. Maggie: My favorite teacher was Mrs. Fuller. She was my fifth grade teacher, and she was larger than life, which was so interesting because I was quite shy and introverted. I would think someone that was big in the room would be intimidating to me, but she just was strong, and skillful, and she was unafraid to be a lot of things at one time. You know, she was constantly kind of dressing up in history as different people, giving lectures. She wouldn't be afraid to get really messy during science, and do all kinds of experiments. Honestly, that was my first book club memory. She had us in book clubs back then, and I remember goofing around with my club, reading in our library, and so she just had all these different ways of being with us, which I think was magical. She also was no nonsense. Mrs. Fuller was known for hearing her ... you heard her voice booming down the hallway. She didn't play, and I think that also created safety in the class, because she didn't use her loudness as a tool of fear, she used it more as just a place to create boundaries for the kids. I just loved how dynamic she was a teacher. Brett: While it's fun to get nostalgic about these things, you say as teachers we really should take a moment to do this reflection, but why is that important for us to sort of reflect on these moments of educators from our past? Maggie: I just think teaching and learning is so personal. It's such a relationship. When we're thinking about teaching, sometimes the conversations and thoughts can be geared to: What are your learning objectives? What's the curriculum? What's your pedagogy? What's your pacing chart? What's your unit plan? All of those systems are so important, and you want them to have healthy heartbeats in the room. I'll say a lot ... sure, kids need programs, but kids don't need programs, they need you. They need the teacher that there is something, there's a chemistry between teacher and student that is the spark for letting that curriculum fly high in the room. I think that when we are in our day to day, and we are facing standards, and we are facing high stakes tests, and growth patterns and all of that, it can be hard to remember why we are there in the first place, and it can be hard to remember the Mrs. Fuller, you know? It's the booming voice, it's putting on the hat as you're lecturing as a historical figure that I think is what kids, and what I, honestly, really remember. Brett: How is this journey into the past have helped you reflect on your own teaching? Maggie: When I started thinking about caring for our art, caring for our craft, our profession ... I started to think back to organizations and places where we go to learn teaching. We go to undergraduate programs, we take online classes, UTEP in Chicago, the Teaching Fellows in New York City ... there's all these places we go to learn how to become teachers. When I was thinking about this topic of nurturing the art of great teaching, I went to kind of examine some of those places. I was lucky enough to have some time, and some of those places, for me, it was the Golden Apple Foundation in Chicago. I dusted off that notebook, and I was 18 in Chicago, working in the public schools as a volunteer in the morning, and taking these seminars with master teachers in the afternoon. I was like, "What was it about that program that I am connected to that in my mind it feels like the raised, and they crafted, amazing teachers?" I had all these notes on pedagogy, methods of teaching, different kinds of curriculum, and I even participated in Inquiry, and writing workshops. It was amazing. But really, it were the names of these teachers that really stood out. It was Greg Niche, when he would coach us to be fearless, activist teachers; Jan Urist, who is this amazing artist, who taught us how to let kids be in the material as they learn; and Dominic Belmonte, who was an amazing story teller, and is still head of the organization there. I remembered the people, and I remembered the way that they were as the orchestrated teaching and learning, and it wasn't necessarily that I remembered the curriculum they used at the beginning. It just made me think of who are these kinds of teachers, these people? The curriculum doesn't make them great, it's what they do with that. 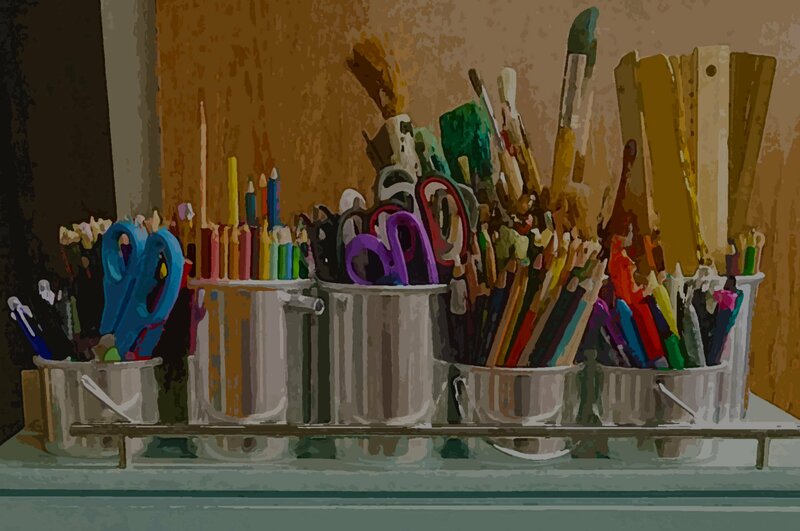 I began to get curious about when was I the artist in my teaching, and when was I the messy scientist as a teacher. Yeah, that was when I first started thinking about it. Brett: It led you to sort of think about these teaching archetypes? Brett: Tell us a little bit about these archetypes, and where this led your thinking. Maggie: I think there's amazing ... so much support at a curriculum level when we think about teaching. There's so much support in terms of methods of teaching, and just the stuff that teachers have. What if we thought about our teaching in terms of these archetypes of great teachers? When I think about Mrs. Fuller, I think about her first as a story teller. I've always thought, for me, teaching as a performance art. I was a theater kid. I was on the speech team. I loved everything performance, and so when I think about my teaching, and when I think Mrs. Fuller as a story teller, it really felt like, oh wow ... yes, teaching is a performance in that way. Brett: How do they help us achieve our teaching goals? Maggie: To ourselves, and our learning. I knew it wasn't going to be like a curriculum lesson, or like a certain strategy. It was, how can I wake up 801 as a story teller, and begin my lesson with a carefully-crafted anecdote that would lead them into wanting some teaching of the day? Or, do my kids need the coach right now? Do they need kind of that no nonsense, motivator, getting them up, rallying them to the big work of the day? How can I be as a facilitator of teaching and learning that can help me meet my goals of like what this class needs. Do they need engagement? Maybe I need to be a story teller. Do they need to discover their own thinking? Maybe they need me as a scientist. Do they need to be heard? Do I need to take on this role of a therapist right now? So, tapping into what we know our kids need in a moment and saying, "Yep, curriculum is going to help with that, but how can I offer it to them?" There's all these ways I can offer that to kids that I think we know a lot about. What I'm curious about is is that replicable? Because, I'm no artist. You know? I am no artist. I am not a scientist, but I'm so curious ... could I crack that archetype open and figure out how to embody that, because it might really help give kids what they need in that moment. Brett: You give us little pieces of advice throughout this, so in the story teller, you really stress less biography, more memoir. Think about memoir. Maggie: One of my favorite tips of using story telling as an effective teaching method is when I am story telling, I want to think memoir, not biography. That is that, Julie reminds us that there's a lot of power in leaving things out. I want to be strategic if I'm taking on these kind of identities as a teacher, because I don't want to story tell for like 40 minutes and all of a sudden be like, "Wait a second, what did I teach? We're all having a great time, but it's become just like story time." There is a place for that, but if I'm using it strategically as method to like wake up 801, to get them in the palm of my hand, I might start the story of my lesson, which is going to take them into the strategy of the day, if it's writing workshop. I might start in the middle of something dramatic that happened to me in the morning, and not start with all of that back story so that I'm crafting my stories with an editorial eye, that are all moving my audience, my kids, towards the work of the day. So, it's crafted, and it's rehearsed. If in this moment we say that teaching is a performance art, there's a lot of rehearsal that goes in on that. It's not necessarily impromptu, but it feels as such so that we can get the room together, invited into the work of the day. Brett: I think that's reassuring for some people, too, that maybe might hear story telling, hear about that performance art, and just go, "Ugh, I'm not that strong of a performer." Brett: But, if they rehearse it, and if they think about sort of that practice, that rehearsal, that really gives you a lot of strength. Maggie: Yeah, imagine a PD starting off with ... we're a bunch of fourth grade teachers, sitting in a room planning our lessons of the week, and we get a sense of what's the story of our curriculum this week. We think like what could be some stories that we use to help invite kids into this work? You might feel awkward and embarrassed, but practicing them together ... I can't tell you how many times at speech tournaments I was rehearsing my dramatic interpretation to a wall. When you go see speech tournaments, all the kids are like performing at the wall, and they're practicing. That's where it gets fun. It's not just what's my lesson plan? What are my objectives? What are the goals? Where it's fun it's like ... what's the magic behind the methods? What is that spark, and if I'm not a story teller, could I learn how to be one? Or, fake it until I make it to serve a greater good, which is what my kids need. Brett: At times, what they need is a coach. The coach. Maggie: They need Coach Taylor. Brett: Tell us about Coach Taylor. Brett: How do we channel Coach Taylor? Maggie: Coach Taylor is just one of my favorite characters. I believe he exists. He is like a real person in my life. If you haven't watched Friday Night Lights, that is a good thing to experience. Coach Taylor is a ... he's got a little bit of Mrs. Fuller, that no nonsense, boundary setting, high expectations, trim phrases, or clips of inspirational speeches to kind of holler at your players to get them going. When I think about coaches, and I think about Coach Taylor, there is ... he's so much in that identity as a coach. He's a leader, he's a teacher, he is a disciplinarian, he's a friend, he's a mentor. People who have had great coaches in their lives, it changes you. It sets you on a path to your own discovery. When I needed a coach, I needed someone to say, "Hey, you know how to do this. Remember this." For me, I was a swimmer as a kid, and I was coached by a coach who had swam in the Olympic Trials, so he knew his stuff. I was a kid, and his favorite stroke was the backstroke, and so was mine. I knew how to do it, but I would get a little lazy, I'd get a little sloppy, and I can still hear his voice echoing in the pool room of telling me little tips and reminders to keep it going, or if I was swimming at 200 at the very last minute, and I felt like I was all out of air, and I couldn't make that last flip turn ... I could hear his voice saying, "You can do this. Push on." I think about when our kids need coaches to say, "Hey, you know how to do this. Let's get going." Reminding kids to bring everything they know about this topic, or this unit, into their practice, or when kids feel like they can't keep going intellectually, if they can't keep going emotionally, if they can't keep going socially ... how much of that coach voice can help lift them up? You could be that first voice in their day. I think about swimming in the pool, and I didn't need a story teller in that moment, because I would have just floated on my back and hung out, and been like, "This is lovely." I needed someone motivating me and telling me I can do this, but not doing the work for me. Do you know what I mean? I needed someone to lift me up with small prompts that were specific and clear, but I was doing the work. I was swimming, or I was doing the work, I was writing. The coach is a really nice identity to embrace when your kids need to get going, and you can help them do that. Brett: One other thing you've talked about in this area is making progress tangible. Why is that so crucial? Maggie: There's a great article by Sarah Green-Carmichael from the Harvard Business Review, and she curates all these great tips from amazing coaches. For instances, there's a little known swimmer, Michael Phelps, you may have heard of him ... she features his coach, and they have all these great tips like, be honest and direct in your coaching, but be sensitive and compassionate at the same time. Maggie: Sitting down to write a literary essay, or sitting down to even write a paragraph, or sitting to start a book of my own choice and read that when I've never done that before, if I'm a reader. How can I, as the teacher, break down that task into short, manageable goals and give kids a ton of feedback when they hit them? I see myself doing that all the time as a writing teacher, and reading teacher. Can I get even more intentional about that work by saying, "I'm a coach right now." I'm going to go and listen to this book club and be like, "Uh huh, yeah. Let me help you make a reading plan." I think that can be helpful. Brett: The third archetype that you've talked about is the scientist, and the scientist is fun. I like the scientist a lot. Maggie: Is that your favorite? Brett: Yeah. Tell us about the scientist. Maggie: That would be a fun game, right? To kind of be like, "What's your favorite way of being as a teacher?" If the story teller is teaching as a performance art, we can think about the scientist as teaching as inquiry. Landmarks of this teaching identity, this way of being this archetype ... it's inquiry, it's questioning, if I think about teaching as a scientist, I'm analyzing data and looking for patterns. I'm having a mindset that we are problem solvers, and that experimenting with the unknowns is the exciting piece. I think that when we think about those big things: inquiry, project-based learning ... kind of these more kind of boundary-less fun places to be as a teacher and a learner, for some students that's really exciting. For some students, it can be daunting. Same for teachers ... to teach in that way can be a little ... if I put up a great piece of writing, and I do an inquiry as a writing teacher, and I say, "Hey, friends, what do you notice about this piece of writing?" And they don't notice anything ... I'm like, "It's May. How do you not notice anything?" Inquiry [inaudible 00:17:51] make you feel bad about yourself, you're like, "Oh, well this didn't go well." A scientist would be curious about that, and so thinking about when do my kids need curiosity, when do my kids need to experiment with the unknown in my curriculum? When in this unit would inquiry be powerful? In the beginning of this unit? When in my week would inquiry be powerful? When in my lesson would inquiry be powerful? Could I tap into being a scientist. Brett: You talk about how being a scientist really helps us with critical thinking. Maggie: Absolutely. For me, I can't just like ... If I'm not a natural scientist, which I am not, I can't just be like, "All right, my kids need me to be the scientist today." How do I do that? I think that we're always craving ways to meet our kids where they are, and lift them up with their teaching, and we might know, hey, my kids need a little inquiry now. They need a little bit of let's discover something together. It could be helpful if I framed my teaching as a scientist. How do I do that if it's not natural to me? What I'm interested in is thinking about ways to do that kind of teaching. If critical thinking is an important piece of that, is to look at something critically, is there a strategy that I can use as a teacher? People that do this archetype well ... I think about Smokey Daniels, I think about Kristin Zimeke, Sarah Ahmed ... they are the scientists in their inquiry teaching, and so specifically the See-Think-Wonder thinking routine stresses the importance of inquiry-based thinking through close observations of a three step process. What do I see? What do I think? What do I wonder about this? If I feel like my kids need the scientist right now, I could look at what I'm teaching today, and frame it in that routine. Brett: When we take all of these archetypes together, how can we take this thinking and maybe sit with it and maybe create our own archetypes? How do we do that? Maggie: Right. I think first is we're really good at teachers, thinking about what our kids need. We're like, "Okay, my kids need some engagement right now. My kids need to outgrow their thinking. My kids need help transferring what they've learned from one class to another." First is kind of, as always, keep this rooted in what the kids need, and say to myself, my colleagues, a friend: "What do my kids need?" Second step, what might help get them there? I might look at my curriculum, I might look at my learning objectives, I might look at my materials ... but then the third step is how can I present that curriculum to my kids where it works? Do I need to be a story teller in my delivery of this teaching? Or, do I need to be a coach in my delivery of this teaching? If I think about that, what do my kids need? What's my curriculum that could help meet that need? And, how do I want to deliver it ... exploring that how in the company of yourself, or the company of your colleagues could be a really neat, fresh way to think about not just what we're going to teach, but how are we going to teach it. If I'm thinking about my 50 minute lesson, who do I want to be in the beginning of that lesson? Who do my kids need? If I think about transitioning my kids from whole group practice to independent practice, who do they need? Do they need the coach right now? Do they need the story teller? Thinking about setting kids up to surmise their thinking from that lesson, and carry it into the next day, who do they need? They may need the scientist. It's fun to think about who my kids need across a day, across a week, or it could be really fun to plan a unit of study and say, "How do I want to start this unit?" My mentor, Lucy Calkins, says that the beginning of the unit shouldn't be a surprise party. It's not like we walk in and be like, "All right, kids," all of a sudden we're like writing literary essays. You know, story telling is a great place to begin a unit. Coaching is a great place to keep that unit going, and being a scientist could be a really neat place to end the unit with an inquiry of our very own work, saying, "Wow, we went from Point A to Point B. What did we discover there?" It's a neat way to actualize and personify and bring ourselves ... this is why we got into the gig, isn't it? We got into the gig because of the Mrs. Fullers, the Greg Mitcheys ... the people that lifted us up in their teaching. I don't remember the textbook I read, I remember the person. I think that all of us have that, and I think that we can learn how to be our favorite teachers in really small, practical ways.